Optimal Health, A Peaceful Mind, and a Joyful Spirit. I can help repair and restore your comfort, vitality, sense of connection, deep knowing, and trust, by setting up the conditions for your own true nature to create the healing. Call us at: (707) 217-5777 or send us an email. 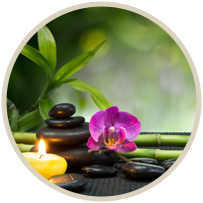 Classical Acupuncture and traditional healing arts offer a profound experience of well-being. With guidance and treatment, your body adjusts to this new balance. 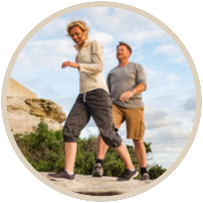 We use non-invasive systems to analyze the body in order to determine the underlying causes of ill health. When these causes are corrected using targeted nutritional solutions, the body can repair and restore itself to more optimal health. After receiving facial toning sessions from Sydney, I met with a male friend of mine. He said, ” Wow! What have you been doing? You look so much younger!” He then lifted my hair on both sides and looked behind my ears. I said what are you doing? He said, “Looking to see if you have had a facelift!” I laughed but he was serious. Every few months when I have a “tune-up” He says the same thing. Sydney has helped me many times over the years with specific physical and energetic problems as well as times when I just needed a tune up. She is incredibly intuitive and I always come away from a treatment with a renewed energy and clarity as well as good advice for my physical, mental and spiritual well being. I love my weekly visits with Sydney! I love my weekly visits with Sydney! It isn't just because she is who she is, which is part of it, but of all the fun things we do. She has endless curiosity and there is always something new. 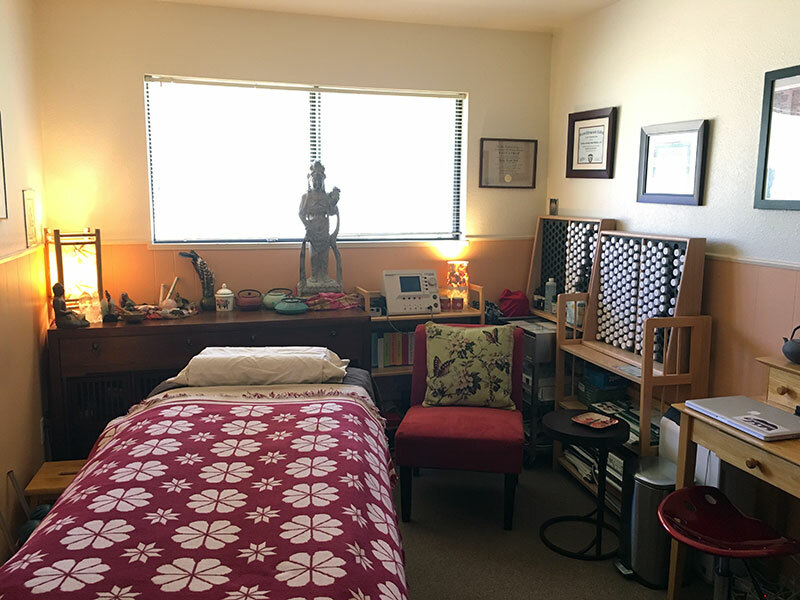 Of course there is the acupuncture, which is part of my wellness program, but also I love the relaxing Reiki healing and other things she has to offer. I always leave her office feeling rejuvenated. I danced with my husband today! Hi Sydney, Guess what? I danced with my husband today! He said, "Hey, you're smooth." Nice, huh? I always feel so relaxed and energized at the same time after a treatment. Sydney, I trust your judgement and I know you are keenly observant. I always feel so relaxed and energized at the same time after a treatment (with the added bonus of not feeling a drug hangover). All my doctors are very supportive of "alternative treatments" so I am happy I have that support. I think, personally, it's the mat with the goggles and sound therapy that have been most helpful. I appreciate your time, dedication and expertise. You are indeed a special person. I feel very comfortable and relaxed with Sydney… very rare! My pain is lessening for the first time as well as my allergies. I feel very comfortable and relaxed with Sydney and in Sydney's office and that is very rare for me. My pain is lessening for the first time as well as my allergic response and I am beginning to have hope. It feels like things are turning around now. Sydney is very nurturing in session and the results are measurable! I was feeling low of energy and not like myself before I had a treatment with Sydney. I saw immediate results. I left her office feeling more alive and connected to myself and to source. I noticed a huge change later that week; I was able to receive better. Normally if someone is sharing with me about what they like about me, I push it away and get very uncomfortable. This time I could hear it and let it land. My connections to others became stronger. Over the next few weeks of being treated by Sydney, I saw a huge shift in my life. Sydney is very nurturing in session and the results are measurable! I was in so much pain for weeks after the surgery I had, until Sydney fixed it. I was taking tylenol all day. Certain times of day it would hurt so much. After she worked on me, I even forgot about it. I also used to have acid reflux before Sydney started treating me for it. I don't have that anymore either. Alison Monroe, Santa Rosa, Ca. I was in so much pain for weeks after the surgery I had, until Sydney fixed it. I was taking tylenol all day. Certain times of day it would hurt so much. After she worked on me, I even forgot about it. I also used to have acid reflux before Sydney started treating me for it. I don't have that anymore either. My husband of 35 years was diagnosed with cancer in November 2015. A friend told me to go have regular sessions with Sydney. I needed something for the stress, so I took her advice. Michael died in mid-June, after 7 1/2 intense months. Sydney's work was what kept me together and functional during those difficult times. Every time I had to miss a session I noticed the difference in my reduced ability to cope. I highly recommend Sydney! Feeling the light!… Distance doesn’t mean much does it? Good work Sydney! Distance doesn't mean much does it? As I was laying down I was trying to attract the energy into me, feeling it between my hands like you showed me. About halfway into it, I placed my hands on my chest and felt this current of white light coming in through my forehead and moving into my heart center. It was flowing with such power and grace, I felt enveloped in a warm white cocoon. What amazed me was how much it was flowing and moving into me, and not exiting, just being absorbed into my heart and torso. The techniques Sydney uses work immediately, and the effects are long-lasting. 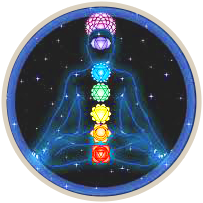 I originally sought treatment from Sydney after many years of severe tension in my back. I was regularly in pain and had become so used to that being the norm that I had learned how to function with chronic back pain. I will never forget getting home and lying down after my first treatment. I did not have to shift around due to discomfort; I had laid down on my back without pain for the first time in years. The techniques Sydney uses work immediately, and the effects are long-lasting. 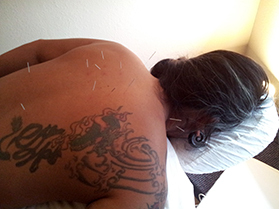 Acupuncturist Sydney Walker has been able to help me with a variety of health problems. Acupuncturist Sydney Walker has been able to help me with a variety of health problems, including eliminating repeated sinus infections. I used to get several sinus infections a year. I've been infection free since working with her. She has been able to heal me when Western medicine offered no help. She has also effectively treated me for knee pain and allergies. Most important of all, she treats the whole person, and provides you with the tools to live a healthy life on a daily basis. Sydney is a amazing healer. Ever since I have been going to her I have witnessed a magical improvement. I'm 12 years old and am really glad my mom found Sydney. I am so grateful for her help and I think she is a great acupuncturist . When I first met Sydney I felt she was kind and deeply caring. Being a Healer by myself I mostly practiced selfhealing if anything out of balance. Now if I want support I call Sydney. I see in her the wisdom of an ancient Chinese Master -- I trust her completely. I enjoy the way she combines her sessions with her own way of perceiving what I need. I enjoy her insights and what she tells me is every time surprisingly " right on". I am happy to have her as my Healer. When I first met Sydney I felt she was kind and deeply caring. Being a Healer by myself I mostly practiced selfhealing if anything out of balance. Now if I want support I call Sydney. I see in her the wisdom of an ancient Chinese Master -- I trust her completely. I enjoy the way she combines her sessions with her own way of perceiving what I need. I enjoy her insights and what she tells me is every time surprisingly " right on". I am happy to have her as my Healer. She is the best acupuncturist I’ve been to in a long time. I really like Sydney's work. She is the best acupuncturist I've been to in a long time — maybe ever. The stress of this year's holiday was emotionally, very, very hard on me and I felt like I was going to loose my mind. I am very grateful to have received personalized care from Sydney during that difficult time. I could feel my body and spirit heal, become grounded and peaceful with each visit. Thank you Sydney. Thank you so much for the treatment yesterday. I felt very energized. My partner and I took a long walk through the park and I stayed up later as usual. My mood was very high. Whatever you did worked! 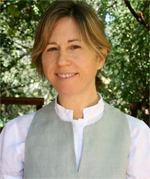 Sydney is a gifted healer and acupuncturist. 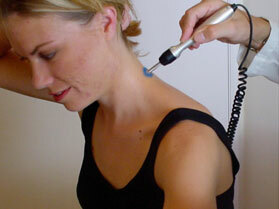 Sydney is a gifted healer and acupuncturist. She was very helpful during my chemotherapy sessions when the side effects were causing a lot of problems. She especially helped me feel better emotionally while I was feeling really low from the medications. I could tell Sydney always held an image of me as healthy. My mind is clearer and I am feeling great. The SLRS treatment that Sydney gave me the other day was amazing. Before the treatment, I was feeling anxious and overwhelmed and had been reacting negatively to things that were going on in my life. Now, things aren't bothering me as much-they just roll off me. My mind is clearer and I am feeling great. Thank you! My life has been greatly transformed. Sydney is a powerful healer. Her vast knowledge of natural health and Chinese medical principles are supported by intuitive wisdom and a gentle but confident touch. My life has been greatly transformed by working with and simply knowing Sydney. My symptoms are pretty much gone. I've been struggling with hormone imbalance with many symptoms that are especially difficult around my periods, and fluctuate a lot. I had muscle aches and pains, terrible headaches, I couldn't sleep, my heart pounded at times. It used to be that I just had terrible premenstrual symptoms, but then it seemed that I had fluctuating symptoms that went on all month long. After my last treatment with Sydney I felt a real sense of balance. My symptoms are pretty much gone. I feel like this entire month I've had a smooth cycle with no flare-ups. I feel great, balanced, body electric, and stronger than ever. My compliments on your masterful treatment today. I really have felt great, balanced, body electric, and stronger than ever. I even broke out into a medley from Oklahoma. No matter how my daughter feels before her appointments, she always walks out of the appointment feeling calm, balanced and happy. 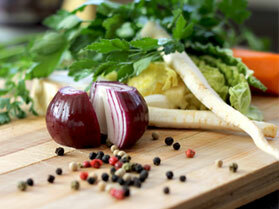 Sydney is a knowledgeable and highly intuitive practitioner! My twelve year old daughter has been seeing her regularly this past year and she has significantly helped her with many issues. No matter how my daughter feels before her appointments, she always walks out of the appointment feeling calm, balanced and happy. That is worth gold! My nine year old daughter has had severe eczema and food sensitivities since she was 2 years old. We had tried so many modalities and healers with no results. Within just a few NAET sessions with Sydney, her eczema is nearly gone! (and we had tried NAET with someone else) Many thanks, Sydney! Acupuncture has effectively cured my severe Sonoma County allergies. Sonoma Mountain Healing Arts has improved my life dramatically. Sydney's expertise in Natural Allergy Elimination Technique and Acupuncture has effectively cured my severe Sonoma County allergies, and also created a much better balance within my inner system. I feel healthier than ever. Her work is such a gift!